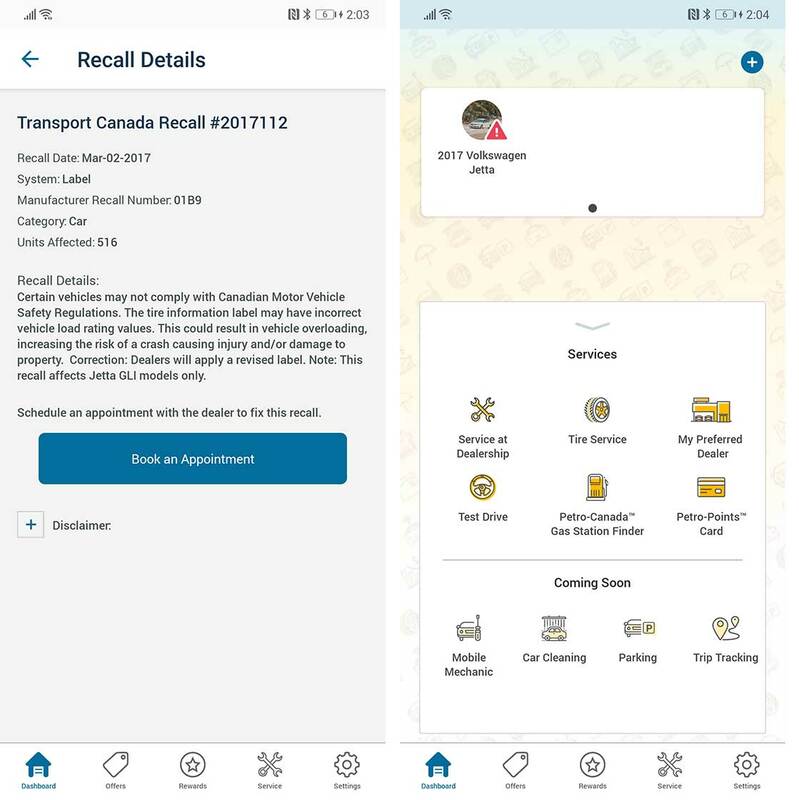 Drive is a companion app for every car that keeps you informed about recalls, local service centres and more. 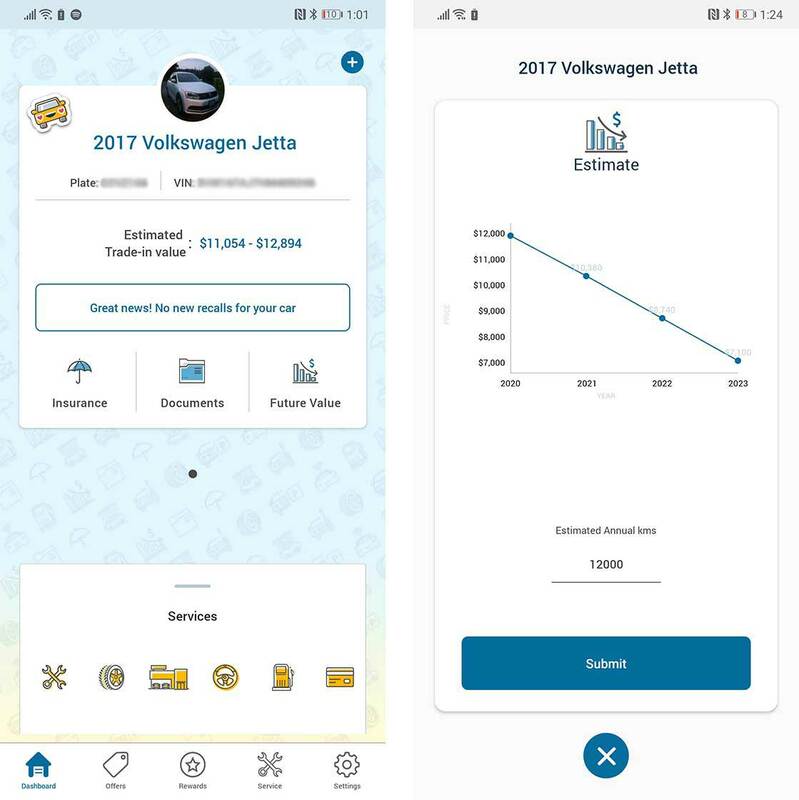 The app is from RBC Ventures which is a subsidiary of the Royal Bank of Canada that focuses on using technology to solve real-world problems facing Canadians. The concept of Drive is fairly simple. Once you’ve set it up, it keeps track of things of like the estimated value of your car and recall information. When you open the app for the first time, you’re prompted to enter a variety of information, starting with the province you live in and your car’s license plate. From there, the app knows what car model you have, and you simply have to input your trim level and total kilometres driven. After that, your car is on to the platform. You begin on the dashboard, and from there you can add a picture of your vehicle, look up recall information, as well as add insurance information and documents. There are four categories documents to upload: ‘Insurance,’ ‘Registration,’ ‘Service Records’ and others. You can also look up the future value of your car, but if you’re like me, it’ll just bum you out. There is a row of icons at the bottom of the screen that you can swipe up on to book service appointments. 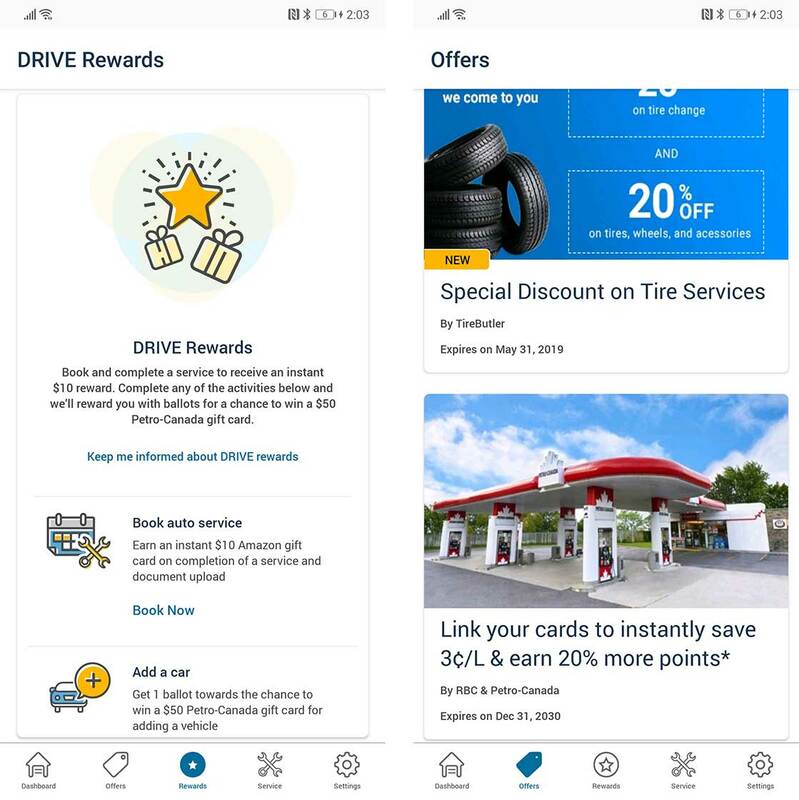 Drive currently offer the ability to book services for tires, something at ‘Your Preferred Dealer’ or ‘Service at a Dealership.’ Additionally, there are options to schedule a test drive, find a Petro-Canada gas station or add a PetroPoints card. There’s a page to the left of the Dashboard loaded with offers. These are things like a $50 bonus for listing my car on the vehicle-renting platform Turo, a discount on tire service at Tire Butler and the option to link a PetroPoints card for 3 cents off per litre of gas. 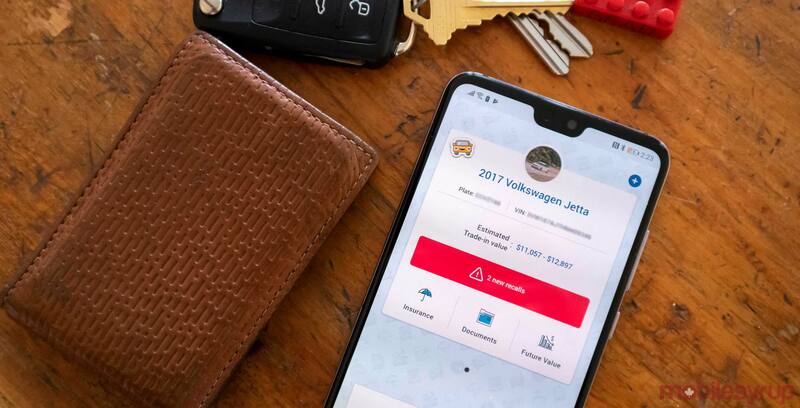 The next page grants rewards for using the app. If you book a service through the app you’ll get a $10 Amazon gift card. You’re entered to win a $50 Petro-Canada gift card every time a new car is added to the platform. All of the other rewards are ballots in the same draw for the Petro-Canada card. That’s about all there is to Drive. It’s a handy tool that stores information about your car and also warns you about potential recalls. Both of these features would almost make this app worth it on their own, so the addition of being able to book service appointments and get rewards makes it even better.